When Vandal Savage steals Batman's contingency plan to neutralize rogue Justice League heroes, the fate of the entire League rests with the Dark Knight himself. 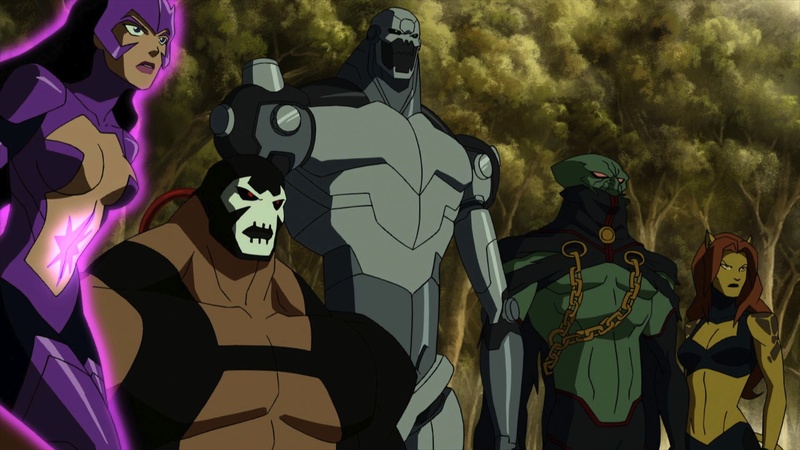 Justice League: Doom is an enthralling 77-minute ride through one of the best DC Animated efforts. It clearly ranks near the top with Public Enemies, and First Flight. As a newbie to the genre, Doom is particularly satisfying, as I had no knowledge of the 'Tower of Babel' series from which Doom is penned. 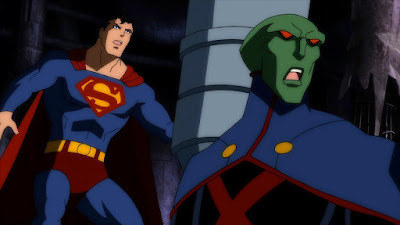 These Justice League characters seem like more mature versions of the original cartoon series - you can actually see growth in these particular versions of Superman, Wonder Woman, and Martian Manhunter - this version of Green Lantern didn't exist in the original JL timeline, but the character (Nathan Fillion, Castle) is nevertheless fun to watch. What makes Doom so satisfying are the performances consistently brilliant efforts of Kevin Conroy and Tim Daly. They ARE Batman and Superman - both actors know their characters intimately, and that comfort resonates in every scene. To have that sense of these actors only makes the League's downfall at the hands of Savage and his gang that much worse. 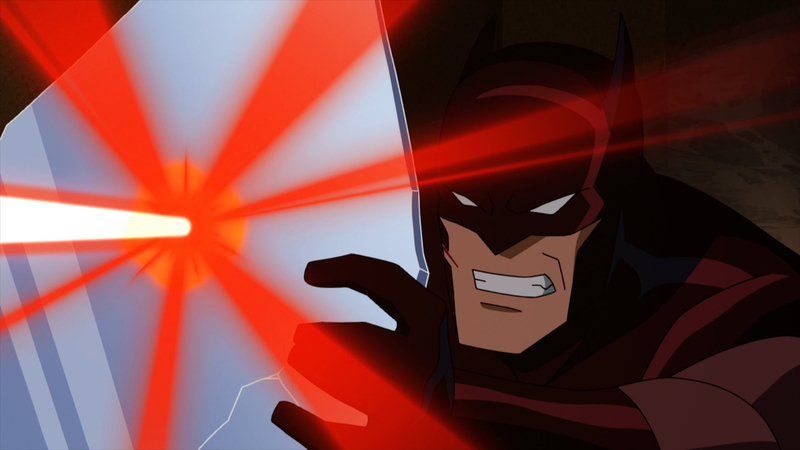 When Batman's plans are used against the League, Batman turns to Cyborg (the only member which Batman hasn't devised a plan against) for help. For a character which hasn't existed much in the DCAU, it's satisfying to see him used so effectively here. Writer Dwayne McDuffie has successfully adapted 'Tower' for the home video market, and he does so with style but also straight practicality here. There's no lineups which seem odd or confusing (like Darkseid vs. Bats); and even though the final action isn't as big as Public Enemies, the overall effect is still very satisfying. I was saddened to learn about McDuffie's passing after penning Doom, so I hope creator Bruce Timm can mine other terrific writers to carry on the good work. In this case, McDuffie left the game on a high note; Doom is totally satisfying in every way possible. I have heard loud complaints over the Web about this AVC-encoded 1080p transfer, but my plasma might say otherwise. This is the best transfer of all the DCAU releases I've seen. The images are crisp (based on the style of the animation), colors do not bleed, and I do not see any of the pixelation or smudging that some reviewers have lamented upon. Warner's transfer is terrific - any perceived shortcomings were not observed. Be prepared to enjoy a 7.1 Master Audio DTS-HD track that is second to none. Explosions are room-shaking and never gets in the way of the dialogue, which is clear and easy to understand. The terrific, wrapping the listener in a sound field that supplies terrific lows for the highs. For a movie that never hit the theaters (except for a one-time preview in LA), Doom sounds like it spent time in a gym prepping for the role. Audio Commentary by Geoff Johns and DC Entertainment creative director Mike Carlin. A League of One: The Dwayne McDuffie Story (HD, 37 minutes): A good and heart-felt tribute to writer Dwayne McDuffie. His passing makes you realize how much of a loss this is for DCU. Guarding the Balance: Batman and the JLA (HD, 19 minutes): I've become accustomed to these well-made comic book documentaries from DC that I come to expect them now. Still, this one doesn't disappoint, taking you through Barman's complex relationship with the JLA, as well as the psychological make up of Batman I(my personal favorite). 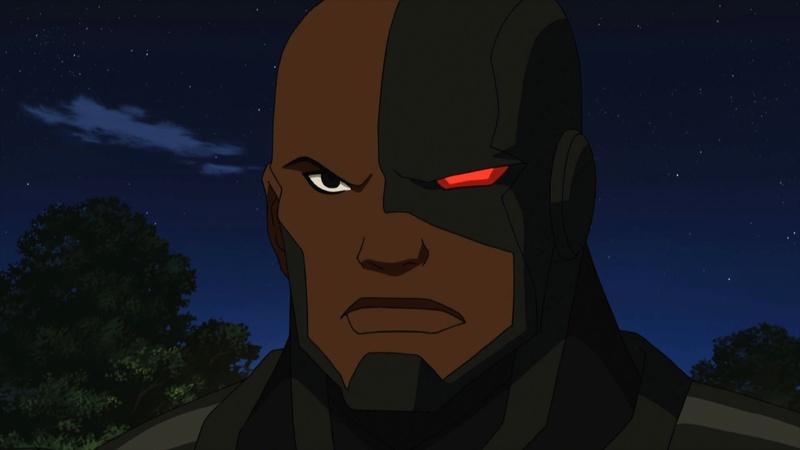 Cyborg: His Time has Come (HD, 6 minutes): Geoff Johns and others introduce Cyborg. Bruce Timm's Top Picks (HD, 42 minutes): Timm chose two bonus JL episodes to showcase, these ones from "Wild Cards," one of my favorites from the original series. Sneak Peek: Superman vs. The Elite (HD, 7 minutes): As I know little about this series, I will say that it looked awesome, and I can't wait to learn more about it. DC Digital Comic Book - Justice League of America: Tower of Babel (HD): Not all of the book is here, which is curious. Justice League: Doom is one of the best DCAU efforts to date, complete with an excellent transfer and packaging from Best Buy. The special features are terrific, and the film reminds us of the importance of getting the right voice actors for the job. In this and every way, Doom excels. McDuffie had his hands in a lot of animation that I love. He will be missed dearly. Thank you Dwayne McDuffie for entertaining me for many many hours with your creativity!